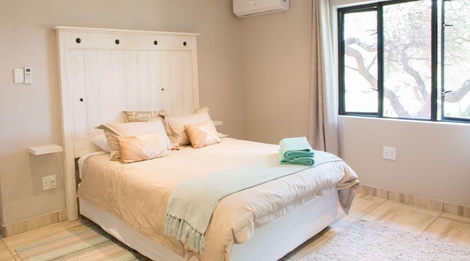 Welcome to Klippan River Lodge, a self-catering lodge that offers comfortable and relaxing accommodation in the breathtaking Limpopo Province. Klippan River Lodge is situated on the banks of the Limpopo River, next to the Grobler's Bridge- / Martin's Drift Border Posts. The lodge is conveniently situated as a stopover on the way to or from Botswana or Mozambique. This is an ideal breakaway for the whole family or a group retreat. Klippan River Lodge offers guests a memorable and relaxing stay, perfect for a family retreat or group breakaway. All our unique rooms lead out onto the tranquil river setting where crocodiles and hippos cruise by.